It is a common belief with car owners that buying new auto parts from the manufacture dealers is the best buy. They probably have a wrong notion that buying used auto parts is not a good deal. It is a truth that most of the car servicing companies and even the auto parts manufacturers recommend and use, used original equipment manufacturer (OEM). This is a fact that used auto parts are equally genuine as that of new. Most of the used auto parts are from the cars which have met with an accident, the parts which are totally damaged are destroyed but other parts which are in good conditions are used. However in some cases repairing may require removing the parts which are absolutely good and can be reused. These used auto parts are sold to the people who deal with second hand auto part market. Since these used auto parts are genuine as originals, there is no reason why these parts cannot be used. All these parts are tested before selling to the potential customer. If you are converting a conventional automobile into a pure electric car and you are on a tight budget, sourcing for used car parts for your donor car may be the right option. There are other reasons also to use these auto parts whenever you get your car repaired, the main advantage is saving as these auto parts are cost effective. Since the fuel costs are increasing every day and so are the auto parts, you save a lot of money, in these hard days money saved is money earned. You are assured to save 50 % cost on the maintenance of your car. The positive aspect is that you are not compromising with the quality or the functionality of the used auto part, hence buying a used auto part is a sensible decision for your EV conversion project. By using genuine used auto part does not affect the warranty of your car. But if you use the parts using aftermarkets in your car, the warranty gets compromised and the manufacturer will immediately seize the warranty. Aftermarkets are the parts which are not manufactured and marketed by the original car manufacturer. High quality tested car parts. Used auto parts are approved as being good as new, since these parts have already been tested and passed, you are assured to get the best services using these auto parts. These parts are removed from the same car and are perfect blend for your car. Some of the experts are of the opinion that these parts are even better as compared to new parts, since these parts were already functioning in the other car. Limitation of used OEM parts. The biggest limitation is that finding these auto parts for your electric car is not that easy, you may not be able to find the particular part which suits the specification of your car. Used car auto parts largely depend on the availability of the similar model and specification; it may take you long time before you can spot the one you require. This happens with the rare car models but thanks to internet you can browse the websites of car dealers so that you can easily find one. 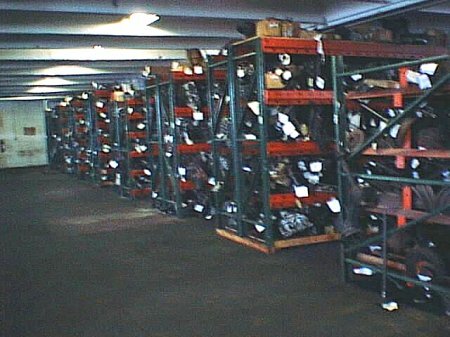 Where to buy used auto parts. The most trustworthy search can be done online, by visiting the websites of online dealers. There are many OEM search engines which can help you to find parts from the pool of dealers. You just have to enter the car model, year of manufacturing and the specific name to find the desired OEM. Searching online will also help you to find the OEM’s with lowest prices; you must use your wisdom to identify the genuine dealer. Looking for more tips and tricks on saving money for your first electric car conversion project? If you are, check out the Convert2EV ebook by Les and Jane Oke. The Okes are from Canada and they have been using homemade pure electric cars for more than 15 years. Click on the link below to visit their web site. Using free online classifieds is a great way to car parts over the web. Finding the right donor vehicle for used car parts is the most important step in starting your electric car conversion and salvage yard or else used parts dealer is the best option for that. You also need to collect all the electric parts required for the conversion. You also need to buy the batteries which can be either new or used. You need to have complete wiring done; if you cannot do it yourself you may seek guidance from some expert. It takes lot of time, you need to have lot of patience and determination, and otherwise you will not be able to do it. Once you have completely and properly attached the wiring to required component, you will be really proud of your new converted electric vehicle. One you are thoroughly experienced and you have done it successfully, who knows this may become lucrative business for you and you can help others to have their own home built electric car. Converting your car into an electric vehicle is quite rewarding, you will save lot of money when you make small trips and the use of gasoline is totally eliminated. You not only feel proud but at the same time contribute to the environment and eliminate the release of carbon emissions. To use Donated auto parts which are in good condition is a great way to improve performance in cheaply way. Brookvale spare part sydney also provide good condition part for your automobile. Donattion of car part are common thing in market because every repairman also do this.